FISHTAIL, Montana–Lots of music festivals beckon with the prospect of a temporary retreat from the mundane. Tippet Rise Art Center takes this to a remarkable extreme, thanks to its geography. Located on a 10,260-acre working ranch in rural south-central Montana, Tippet Rise requires nothing less than a pilgrimage just to take in one of the musical weekends of this year’s summer festival season, spread over eight weeks between July and September. The story of Sawney Bean is one of the most gruesome Scottish legends, the plot of which would not look out of place in any modern horror/slasher movie. Evidence suggests the tale dates to the early 18th century. 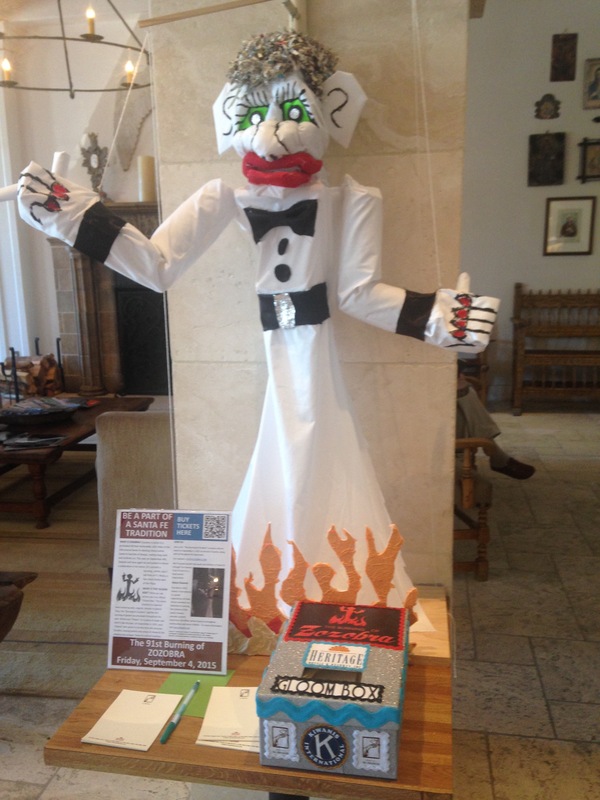 I happened upon this miniature version ofthe legendary Zozobra in the lobby of the Hotel St. Francis in Santa Fe. According to the official “All about Zozobra” site, Zozobra, “also known as Old Man Gloom (OMG),” was created by local artist William Howard Shuster, Jr., in 1924 and became part of the annual Fiestas de Santa Fe starting in 1926. Made of muslin and stuffed with shredded paper, Zozobra is an eerie, groaning, flailing character who appears to be part ghost and part monster. Amid fireworks and the ceremonial dances of ghosts and fire a growling Zozobra is set ablaze and it is said as the fire consumes the beast so go the feelings of gloom and doom from the past year.